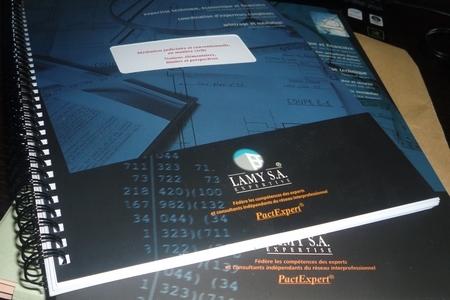 Lamy SA Expertise can deliver a Certificate of Completion, Compliance and Quality for sellers, purchasers and non-professional property owners. It is often the only solution when your property cannot be covered by a standard ten-year warranty or by building defects liability insurance. You can apply for a Certificate of Completion, Compliance and Quality, in cases where you have a legitimate right and cannot obtain a standard ten-year warranty or building defects liability insurance, whether for the construction of single house or for a purchase off-plan. The original owner built the house himself and did not take out a home construction insurance. The owner did not think it necessary to take out building defects liability insurance when the project was underway and cannot find a purchaser to accept this risk. The builder of the house has disappeared and we cannot find the ten-year warranty. No building defects liability insurance coverage was taken out. What is the purpose of a standard ten-year warranty or building defects liability insurance? Individuals can be covered by a standard ten-year warranty for faulty work, anomalies or damage affecting the structural integrity of the home. For a period of 10 years, this type of warranty notably covers defects affecting the structural components of a building: infiltration in the walls, defective masonry work, roof leakage, etc. Building defects liability insurance covers the same damages as the ten-year warranty. However, this type of insurance will assume coverage immediately without first hearing the pleas and dismissals of liability of the parties involved in the construction. This is a valuable guarantee, especially when the builder or developer has gone bankrupt. The contractors that carried out the work were not declared or did not take out any insurance. Some service tradesmen went bankrupt and did not produce their insurance certificate. Anomalies or defects were not identified during the ten-year warranty but just after its expiration… There can be a number of reasons why specific guarantees do not cover damages. ... A Certificate of Completion, Compliance and Quality is the solution! You cannot be covered by your guarantees. Lamy SA Expertise can carry out a complete technical consultation of the building and issue, under its own responsibility, a Certificate of Completion, Compliance and Quality. Although it is not an insurance offer, it can allow you to address the concerns coming from potential buyers. This certificate guarantees free assistance in case of problems for the remaining time period up until the tenth anniversary of your house.